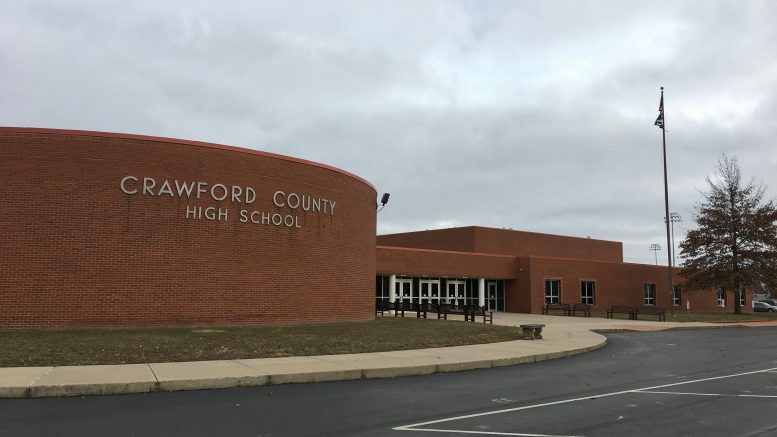 Crawford County Schools Superintendent explained to WJTS that there was a bomb threat made towards the high school through a social media platform. Due to this, the corporation made the decision to put students on a two-hour delay while the school was searched by a bomb squad brought in by the Indiana State Police, who were also assisted by Crawford County Police. Results came up negative. As students from all across the corporation were let back into schools, an officer was staged at each building as a security measure for those in the schools and a comfort level for the community. Students at the High School were subjected to metal detection as a safety measure, which resulted in no finds of any possible activity that could bring harm to anyone in the schools. Students are now currently in classes. The situation is still under investigation. Additional information on the matter will be given as it becomes available. Be the first to comment on "Information on Crawford County High School Threat Released"